Brenda Marquez has been on Okinawa almost two years. 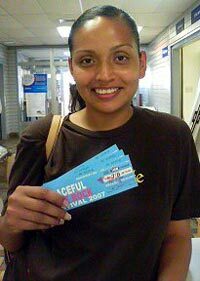 She is won tickets to Peaceful Love Rock Festival in this week’s raffle. The Augusta, GA, native says she loves her life on Okinawa. She’s a stay-at-home mom who likes to do things with her kids like exploring the island beaches. Maria Anderson also won tickets to Peaceful Love Rock Festival. 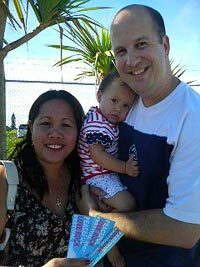 She was born in the Philippines, but has been on Okinawa since 2005. She likes to go to the beach with her kids, and go shopping. She also likes Okinawan foods, and says they are very healthy and tasty alternative to American style foods on base.